This is the official conclusion of the Swiss experts from ZHAW Food Perception Research Group, and yes, it’s real news. You must have heard a lot about the powerful influence of classical music played to the embryos but who would have thought that dairy products can also be affected in a tangible way. 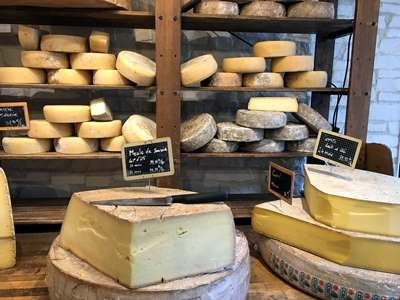 It was the initiative of Beat Wampfler, a cheesemaker from Switzerland, to couple with Bern University of Arts and carry out a 6-months experiment on the well-known Emmental cheese. During this time, the three main cheese samples were exposed to classical music (The Magic Flute by Mozart), hip-hop (We Got It from Here) and rock (Stairway to Heaven). There were other options too – ‘listening’ to UV by Vril, Monolith by Yellow, to low-, medium- and high-frequency soundwaves and one of the samples lay in complete silence. All of the sounds were transmitted directly into the cheese wheels and resonated inside them 24/7. In half a year, as a result of a few blind testing rounds, technologists, scientists and renowned cheese specialists made their conclusions. It was commonly agreed that the music-exposed cheese in general had a completely different texture, looks and taste compared to the ‘silent’ one. As for the genres, Mozart made its Emmental clearly milder in taste, while the hip-hop lead to a strong fruity flavour. It is now planned to continue the research by playing other types of music to the cheeses. Who knows, maybe a third success ingredient will be added to the milk and bacteria duet sooner than we think. Now that the Oscars and all major ceremonies are over, when all the prizes have been awarded and all the emotions have settled a bit, when all wows were exclaimed and the winners cherished – it’s time to look at the compositions that stirred up so many emotions during the shows with a cool heart and a sober eye. “Shallow”, a love song about abandoning the fears and diving deeper into the relationship, is obviously among the pieces that have recently earned much praise and accolade. How often do we hear that a certain song is so widely loved by the public? What does this phrase actually comprise? Is it about climbing up the charts and being played at the radio stations? What is it to ‘love’ a piece of music so much that it shifts into that ‘widely-loved’ category? The Oscars became a win-win for both Lady Gaga and Bradley Cooper. Their spontaneous soulful duet performance of the ballad “Shallow” on stage proved once again why it is the kind of popular music that deserves the public affection. Trying to track the birth of that love for the song, it appears the reasons lie in a number of aspects that were meant to become the basis of the entire success story. As Gaga highlights in all of her interviews, it’s always about really hard work. On one side, we have a highly productive woman named Stefani Germanotta who learned to play piano by ear at the age of 4, and despite all the hatred and peers’ disbelief received in her earlier years, managed to path her way as an artist all the way throughout to the well-deserved Oscar and a few entries in the Guinness Records Book. Then we have a talented yet humble actor, director, and musician who showed himself as a scrupulous film director of "A Star Is Born" and the man who meticulously planned not just the movie but also every second of the live performance taking millions of viewers off guard, which was the final drop in convincing us. It was Cooper who silently directed beyond-the-standard scenario of the staged show and created the vision of epic chemistry and ideal harmony between him and Gaga singing the love song together. Tiny details such as postures, moves, looks, is what made it work for each one of those who were watching it. What do we have as a result? “Shallow” is leaving Beyoncé’s “Formation” behind in the number of wins (32) and is bumping Ariana Grande’s “7 Rings” from Billboard’s Top 200. The point is – we relate to it, we wanna listen to it often, after all - we have a desire to get the sheet music and start learning to play the piece ourselves (even if we don’t play a musical instrument yet!). This is how good quality pop music is created, through hard work and details that conquer the hearts. Let’s enjoy every note of this memorable duet again. As the Love Day is almost here and the couples secretly do last-minute shopping for some lovely gifts for each other, we reflected on what the evening of February, 14 might look like. 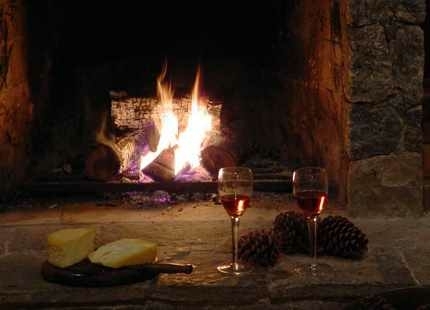 Champagne popped open, sweets unwrapped, the lights are dimed, the cuddle mode is on. The soundtrack to this long-awaited date night should be something special indeed. Whitney’s “I Will Always Love You” is perfectly alright, it just doesn’t need to be that every time. Those who are looking for an alternative to the sentimental pop standards by Adele, Ed Sheeran, Lionel Richie, John Mayer and alike (we have a lot of those too, though), might be amazed by what classical music can offer for this romantic occasion. The range of music works with love-themed overtones is actually impressive. From tear-jerking melodies of the first love flush and ecstatically intense opera arias about the passion’s depth, to the catastrophically unrequited love stories and dramatically savory song endings. Love and romance, imaginary and tangible, in all their various forms, shapes and fullest spectrum – inspired some really great music to date. So what are some of the most romantic classical music pieces ever written? (Beware, you might need to have some tissue ready at hand). Just a few examples for your attention and perhaps a soppy listen. Flowers for February 14? Too easy. What about composing a quartet for your sweetheart? Janáček’s second major string work is dedicated to a woman he could never be together with. Kamila Stösslová was married and 38 younger, but the two exchanged over 700 letters within their spiritual friendship. The swirling feelings and the impossibility of their embodiment are very intense in this great work that is often referred to as composer’s "manifesto on love". By the way, Kamila also inspired many of his later works. It is a different form of expressing love that you’ll hear in this work. “Concierto de Aranjuez” was not dedicated to a woman but to a royal palace, focusing on the beauty of its fountains, blossoming flowers and singing birds. It was however the happy time of composer’s honeymoon, so he made this dialog of classical guitar and orchestra so lively and perfect for daydreaming about the joys of being in love. Blind from the age of 3, Rodrigo was playing piano, not guitar, but it is the guitar whose role in Spanish music he managed to elevate so brightly. It’s already in the title, isn’t it. 'Love's Greeting' was also a gift, an engagement gift, to be more precise. Elgar composed it for his wife-to-be Caroline Alice and subtitled it as ‘Liebesgruss’ as Caroline was pretty fluent in German. The dedication on the score said ‘à Carice’ in French (Caroline + Alice) and the woman received it right after returning from a holiday. We don’t know what that evening was like for the two but we do know that their first daughter got the name Carice soon after. This is what decisively confirms Rachmaninoff’s fame as a brilliant concerto composer. The second movement that was premiered with composer as soloist became one of the most romantic compositions and was taken as a basis for manifold popular love songs. If this doesn’t express what the wonder of love between two people is, than what does? “Love as long as you can!” begins the poem by Ferdinand Freiligrath that served the basis for Liszt’s quintessential piano piece translated as ‘Love’s Dream’. This highly romantic miniature is exceptionally pleasant to listen to but quite complicated to play, requiring proficient technical skill and zealous finger work-out. In case you find it too much for yourself to practice at the moment, there’s always Anton Rubinstein to help you out with his fabulous rendition. We’ve already learnt that composers love writing pieces as a present for someone. Wagner, too, decided to go beyond a box of chocolates and composed “Siegfried Idyll” for his wife Cosima’s birthday. The premiere of the work took place in a private family circle at their villa in Switzerland. It was on a Christmas morning when Cosima woke up to a beautiful trumpet solo that was part of the poem’s opening melody. Part of “The Pearl Fishers” opera, this aria is a breathtaking love confession of Nadir to Leila, all in a twisted story where men’s friendship is threatened by the shared feeling of love for the same woman. It’s considered to be one of the most seductive arias in French opera, that, however, was very popular among Italian tenors. Incredibly emotional and beautiful in its difficulty. Hardly anything is able to express love better than music. The easiest you can do is set your playlist ready in advance and just launch it in the background when the day comes. Nevertheless, we believe that playing music for someone or have it played for you could become a very sincere experience. It is, of course, up to you what you Valentine’s Day will sound like. Will you play a Chopin waltz, a song or romance by Brahms, Faure, Schumann, try to perform a little aria by Puccini, Verdi, or Mozart? Maybe you will stick to the well-known pop pieces. Maybe your night will be spent in meaningful silence, who knows. All that matters is that you show your special someone how much you care. For some people, October 31st is celebrated as All Saints’ Eve, while for others the end of the month is the time of the spookiest holiday of the year – Halloween, a day full of strange costumes, walking dead-ish people and horror-like decorations. Historically, this day, originally intended for remembrance of the departed ancestors, has been accompanied by traditional ‘theme’ music taken from classical and religious works. 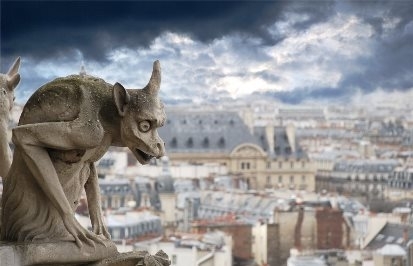 No Halloween passes without listening to such well-known pieces as “Danse Macabre” by Saint-Saëns, or “Ride of the Valkyries” by Wagner, or Grieg’s “In the Hall of the Mountain King”. For one reason or another, these pieces are able to create that special ambiance that would cause mystical and dark associations for many people, making them envision the dance of death, or imagine the flight with Valkyries or visit the Mountain King’s cave in their mind. We present to you a shortlist of some more and less popular but all truly creepy classical compositions. You can add your suggestions in the comment section below! In 1907 Sergei Rachmaninoff visited Paris and saw a painting by the Swiss symbolist Arnold Böcklin. 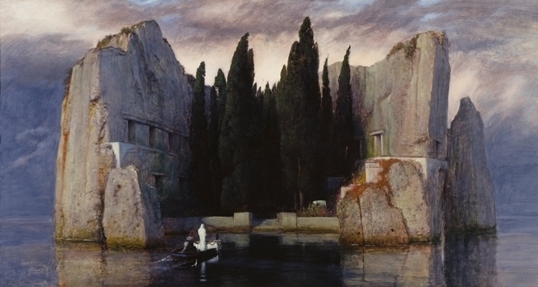 It was a black-and-white reproduction of his “Isle of the Dead” that inspired the Russian composer for writing a symphonic poem in A Minor. The mystic work was concluded in 1908 and became a vivid example of Russian Romanticism of the early 20th century. However, after seeing the original work in color, Rachmaninoff said he was very disappointed and probably would not have written the poem. Luckily, he did see the B&W version first. The second part of Stravinsky’s scandalous ballet “The Rite of Spring” is full of barbaric and brutal rhythms able to totally stir up one’s inner self and strike you with its startling and chaotic percussion. In fact, the entire ballet was initially meant to be titled ‘The Great Sacrifice’ and you can’t but feel the meaning of this heavy word in every single passage. Harp is not really associated with something creepy, is it. Nevertheless, André Caplet made it sound so in a combination with a string quartet. The inspiration behind this work is Edgar Poe’s popular story about the devastating plague – “Masque of the Red Death”. As a result, we have an extraordinary piece of ‘elegant horror’, soft and frightening at the same time. What happens on the Bald Mountain doesn’t stay on the Bald Mountain but comes to our knowledge in form of an ominous “musical painting’ skillfully drawn by Mussorgsky. Aiming to create something mystical and depicting the fears of the peasant people, composer set to music his vision of the witches’ sabbath, filling the tone poem with screams, howling and all the nasty stuff that the evil spirits could be possibly producing during the annual meeting. The agony that accompanies the first part of the waltz makes it one of the most dramatic and overwhelming piano pieces that sounds equally creepy with and without the orchestra. A beautiful passionate sample of program music generating so much drama. Let’s focus on the adagio here. That xylophone… it can make anyone nervous. Another instrument that is humble and innocent out of context but sounds unexplainably creepy when combined with some gentle strings and occasional but persistent percussion. That could work as a perfect Halloween background music if you are in need of adding some decent tension to the holiday. More witches! More sabbath! Berlioz dwelt on the topic too and he did it in his own spine-chilling manner. Conductor Bernstein called the work an expedition to the psychedelia due to its hallucinatory nature. So many evilish audio effects are to be found nowhere else, perhaps. That’s where you can emerge into the world of strange groans, distant screams, hysterical laughter, diabolical dances and somber bubbling. Be aware that every time you gonna play it at home, the brooms are highly likely to get out of control and start flying. The Creepy in this music work is rather of Disney nature, it’s a big contrast to, say, the previous composition by Berlioz, for example, a much kinder fairy-tale type of evil that we be greatly enjoyed by the kids. Nothing can warn you better about something big and scary coming than Prokofiev’s famous orchestral suite “Montagues and Capulets”. The two clans at war meet each and the encounter becomes fateful for the young Romeo and Juliette. Knowing a huge spoiler from Shakespeare’s drama, you simply can’t listen to this menacing beginning indifferently. If this is not the audio quintessence of evil than we don’t know what is. The despair, impending doom and fatality are the minimal set of emotions to invade you from the first notes, while the choir keeps adding more drama. This perfect crescendo is a ready-made soundtrack to any cataclysm. You can search up the sheet music to these works (full scores and parts) in our sheet music catalogue and play them yourself during the holiday time.